This doll is suitable for babies (and adults). Little ones love ’em, big ones can’t deny it—they are the life of every party, listen to all your secrets, and even laugh at jokes that aren’t funny. 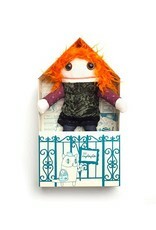 They are modern rag dolls (the stars of the raplapla family), soft dolls, with captivating colours and enticing textures. 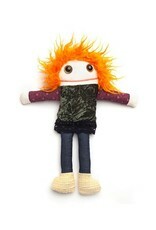 - A rag doll is a one-of-a-kind gift. It means giving a child a companion, a mini reflection of themselves, who will accompany them everywhere, sometimes forever. A doll is a transitional object that can play an important role in the lives of certain kids! Plus they are quirky and fun—like you perhaps.... Or in any case, like me! - Their eyes are not glued on. A rivet on the back keeps them firmly in place. - If you style the doll’s hair just right, you can make a baby burst out laughing (see instructions here). - Although the doll’s long hair meets Health Canada standards for baby toys, you may not want your child to put it in their mouth. But it’s up to you. 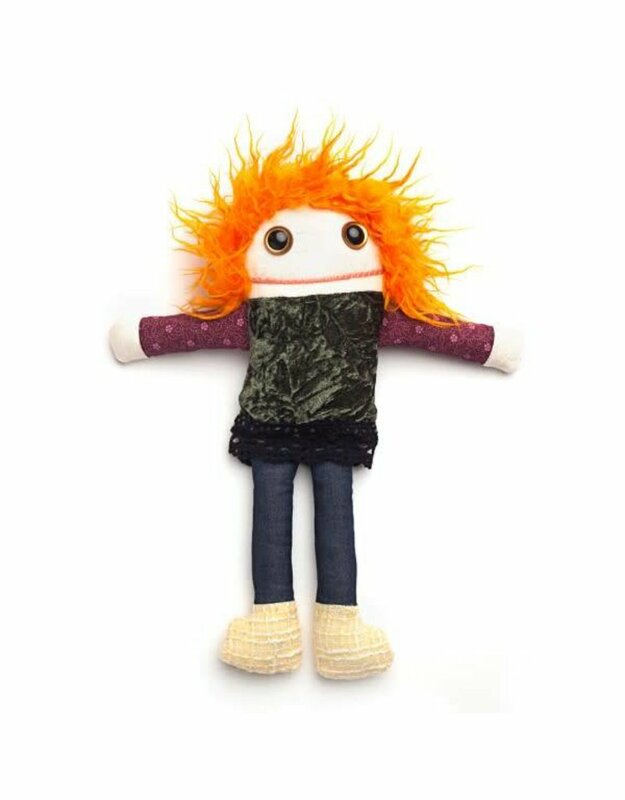 - If you try to put your doll in the dryer, there’s a strong likelihood their hair will come out looking like a scouring pad or an old phentex slipper. We advise against it. - No, their eyes are not glued on. A sock on your doll's head will protect her eyes. 32 cm. Cotton and polyester, stuffed with polyester fibre. Plastic eyes attached with a rivet (which meets CE requirements as well as Health Canada standards for toys meant for children under 36 months). 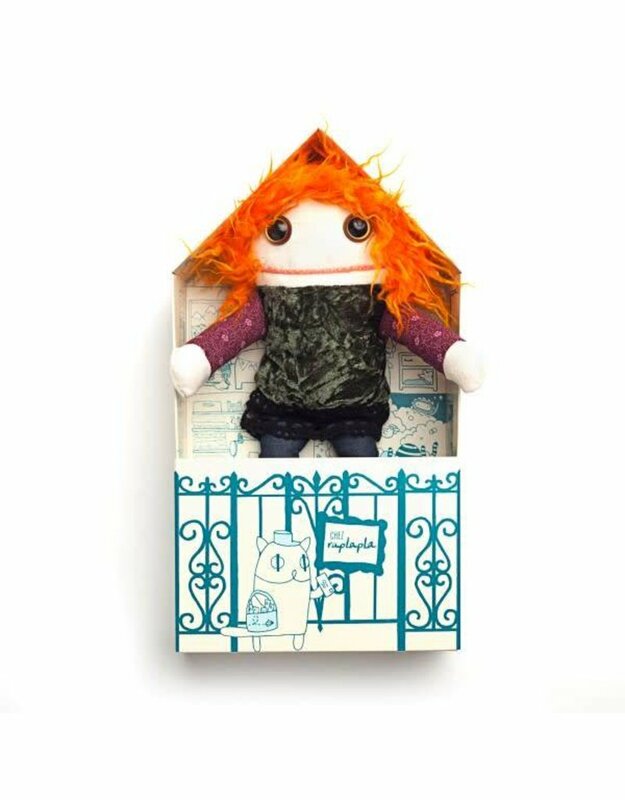 This doll comes in a beautiful cardboard house illustrated by Mimi Traillette (printed in Quebec) with a personal health record. Fabrics and colours may vary slightly. In all cases, the look of the doll is preserved!